Get ready to get messy with your favorite spicy, zesty, and smoky sauces because Florida’s chicken wing joints will have you in the mood for a basketful! Whether you like them extra hot or tangy, our favorite spots have an endless variety. 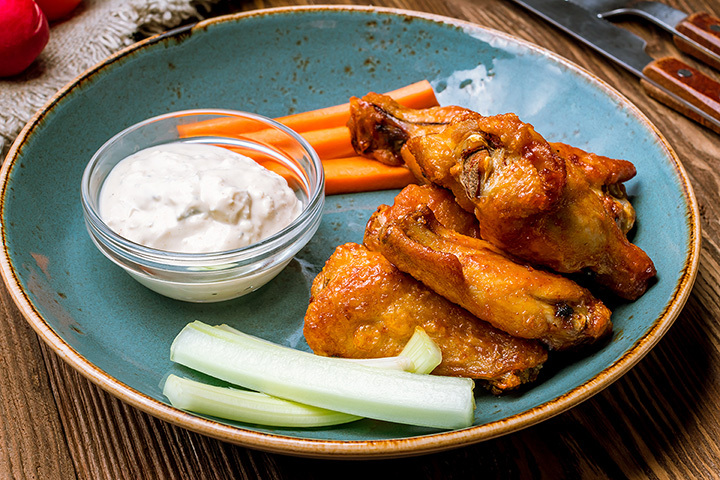 Check out our top 10 picks for wings in Florida! Located in the historic Overton area, this wing restaurant will have your mouthwatering right when you enter the door. With over 50 sauces to choose from, you’ll be wanting to come back again and again to try them all. This spot is truly one the locals of southwest Florida love. With a fun, dive bar-like environment, juicy wings and friendly service you’ll feel right at home as you enjoy their tasty wings tossed in sauce! Wing Box is known as one of Tampa’s favorite food trucks. Serving up boneless, classic and loaded wings this spot is a hit with anyone who tries it. Follow their twitter page to find out where they are! Island Wing Company encourages its customers to “get baked, not fried!” Their crispy wings are freshly baked and you won’t find a fryer in their kitchen. If you’re looking for a meatless wing option, they also have veggie nuggets tossed in wing sauce. Chicken is the specialty at The Coop in Gainesville! This locally-owned family business serves generous portions for a great price. Pair your wings with a waffle for one of the most delicious sweet and spicy combinations around. This Jacksonville wing joint is one of those secret hidden gems that will quickly become one of your favorite spots to eat. With flavor combinations that are out of this world and every day drink specials, Dex N Angie is the place to be for a big game or outing with your loved ones. Looking for some wings with a twist? Uber Wings in Miami is a fun, all-natural restaurant in Miami that is known for their famous and intriguing PB&J wings and secret Uber Sauce. Grab a craft beer and come hungry! Located in the cute beach town of New Smyrna, this little restaurant houses some of our favorite wings. Located just three miles from the shore, this eatery is great to head to after a day spent on the water. This Michigan-based wing company has made its way down south to Fort Myers! These special wings are marinated for 24 hours, covered in spices and fried to perfection. Stop in and give them a try and you’ll be addicted! Designed with sports-lovers in mind this tavern is filled with HD televisions, a friendly wait staff and plenty of wings to try and share! Come out and support your favorite local team while chowing down.